Wigan’s affordable rental property stock could get a major boost if a development bid on the site of a former cattle market is approved by planners. 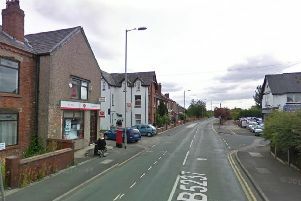 Housing association Adactus has submitted proposals to build 72 houses and one-bed flats on brownfield land off Field Street and Frog Lane, near Wigan town centre. The vacant site “currently detracts from the appearance and character” of the nearby area and “reinforces negative perceptions”, according to application documents from development consultants PWA Planning. The location was once the site of a cattle market but has in more recent years been used as a car park or a base for storage facilities. If approved, the development would add to another scheme on Frog Lane, work having started on a 51-home estate on the site of the old recycling centre last year. One potential stumbling block identified by developers is a portion of the plot had been previously earmarked for the once proposed Wigan Inner Relief Road. But the application points out that another residential scheme has been granted permission within the last decade on the site and the that the old bypass plan was shelved in favour of the now complete Southgate scheme. The council’s planning department has set a decision target date of November 7.